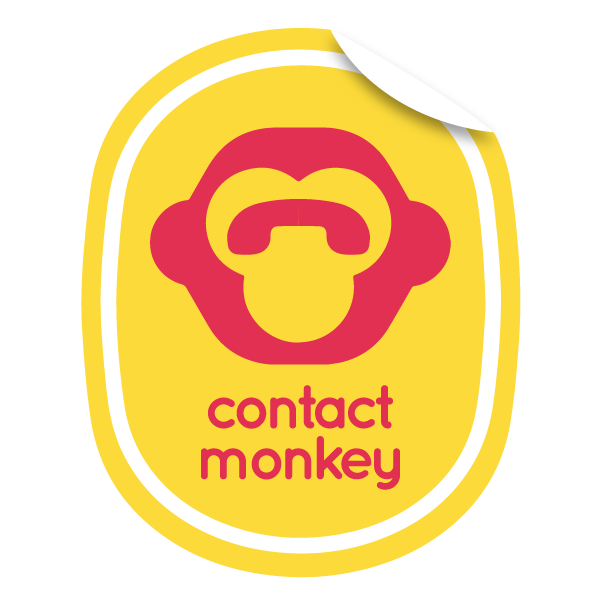 Does ContactMonkey work with Norton? 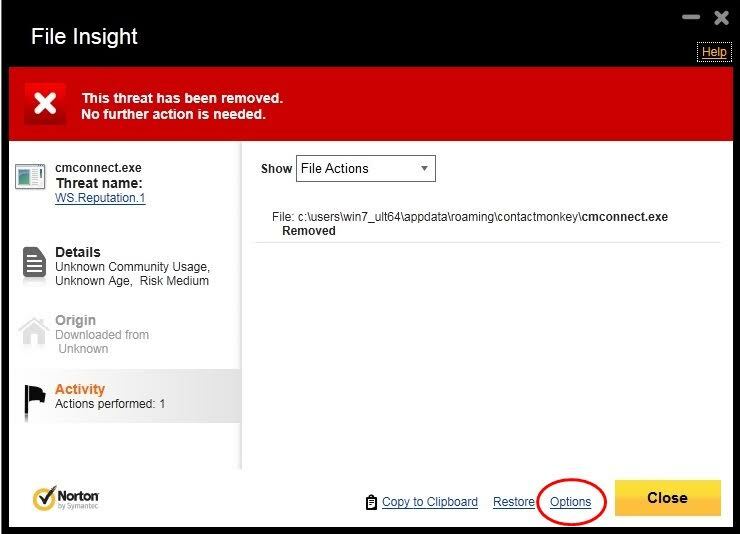 Norton has been known to cause a few problems with ContactMonkey. But luckily it's simple to fix! You've probably received an error about "cmconnect.exe". I would like to point out that Symantec hasn't actually detected any malicious code in the "cmconnect.exe" file, it just has a low "Reputation" because it's a new file and is not used by a large number of Symantec users. Here's an article from Symantec explaining their reputation detection method. 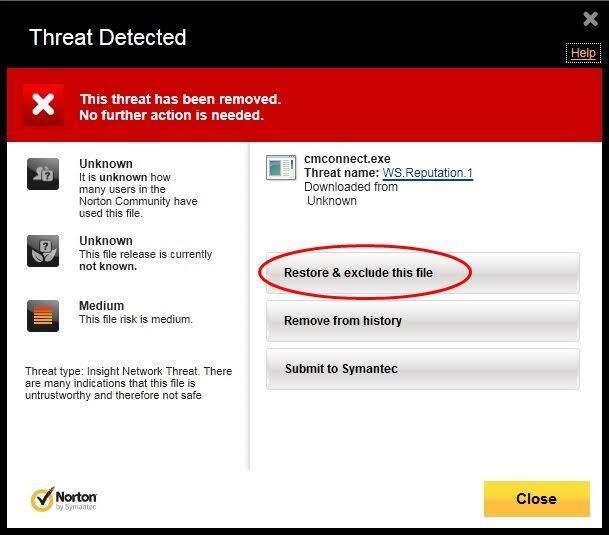 Here's how you can restore and exclude this file in Norton Anti-Virus. If you get the following screen, click "Options". After clicking "Options", you should see the screen below. From here, click "Restore & exclude this file", then follow the prompts. Norton should remember your settings, and exclude the "cmconnect.exe" file from future scans.